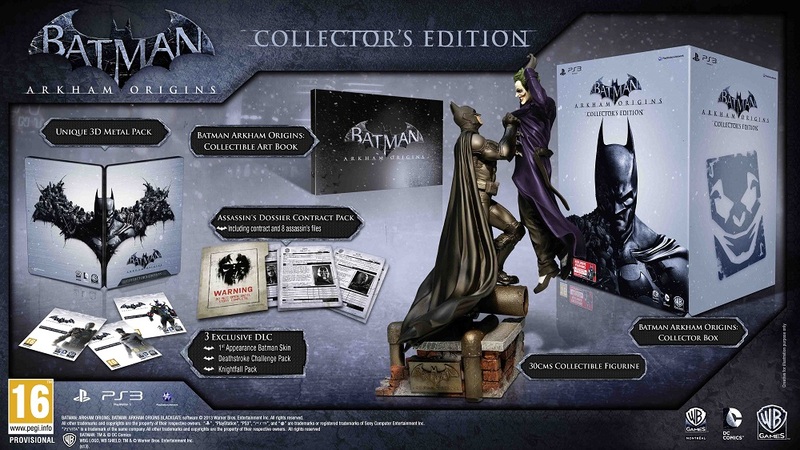 Collecting Asylum: Batman: Arkham Origins Collector's Edition! 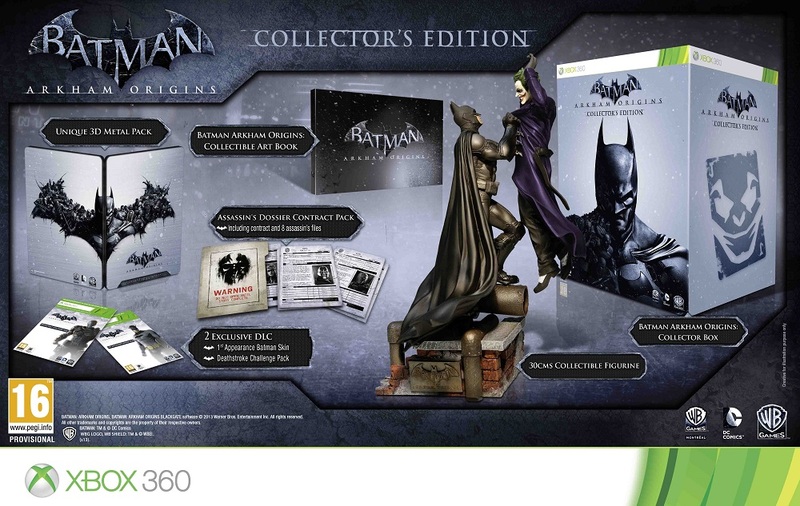 WB Games UK have just this second announced on Twitter that a Collector's Edition for Arkham Origins has been revealed, and will go up on Amazon UK for preorder very soon! An 80-page full colour hardcover artbook. Assassin's Intel Dossier, including files on the eight assassin's, as well as Black Mask's contract. 1st Appearance Batman skin DLC. Deathstroke Challenge Pack DLC - Usable throughout all of the Arkham Origins Challenge maps and also includes 2 bonus challenge maps and 2 bonus Deathstroke skins. It will retail for £79.99 in the UK, and is available in "Limited Quantities" so it may be best for you to get a preorder in ASAP. Release date is 25th October this year! Will you be getting this? EDIT: Preorders are now live, but £20 more expensive than the stated RRP... they can be found here for Xbox 360 and here for PS3.